2017 is almost over and the biggest festive season has arrived. As you know, festivals and holidays are the key factors of driving the sales high. Let’s stay honest though, in working haste, these festive potlucks in terms of business are often forgotten. As Christmas nears, people not only beehives the mall and stores, major traffic and sales skyrockets in E-commerce ventures. Every business owner should be prepared beforehand with some eye-catching strategies that can contribute more to their establishments. 1. First of all, let’s analyse your previous holiday sales and Scan Your Do’s and Don’ts. Analyze which product or services did better or worse than others. Analyze number of audience during intervals. Analyze and collect all the information about your past experience, customers and competitors and plan accordingly. To suit up the business during Yule, all you need are appealing marketing strategies. 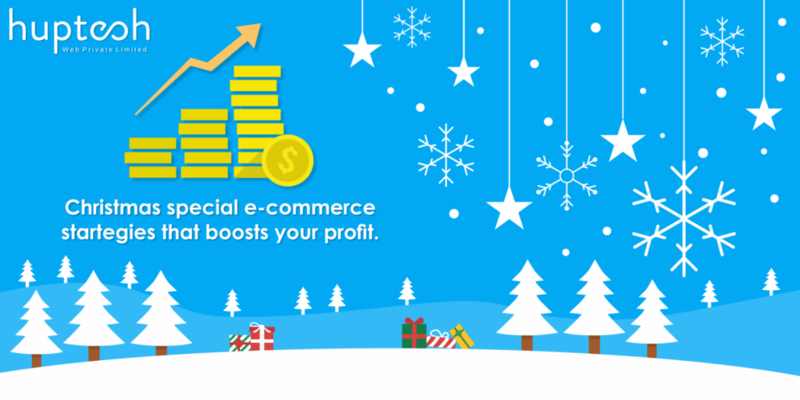 If you have an Ecommerce website then you need to do some serious thinking on how to turn any festive season to your business growth advantage. When Demand is high and the margin for error is low the potential for costly errors is thus very real. The major audience around the world is lured into the deal by visual appearance and Web Designing plays a major role in that department. Customizing Web designs in festive themes is the new trend in the digitized world, anyone who owns a business knows the importance of walking hand in hand with web designing trends. With innovative designs that include festive images, banner placement or even a customized shopping cart, you can now easily add some holiday cheer to your website. If you’ve already completed these prep, do not forget graphic designs, as they play a major role. Always remember that nothing grabs attention of people more than a sense of emergency. Countdown timers are the persuasive features that you can easily add in your website or emails. Graphic designs tend to attract eyes as honey attracts bees; many people don’t know this but graphic design is a component of a web design. With the right color, contrast, and balance, you can now easily entice potential shoppers and traffic easily. In this century, mobile dominates the world; make sure to ready your website for heavy mobile traffic spike. A mobile-friendly website is not just an added option it has become a necessity that drives more traffic in. 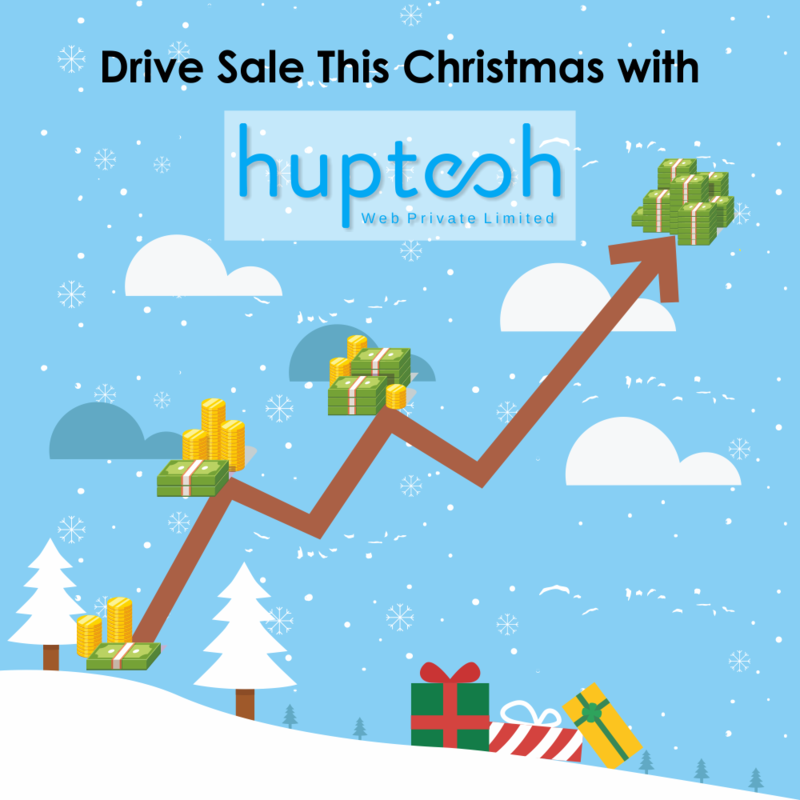 It might sound surprising but most people start looking for Christmas presents as early as November, so make an offer or deal that nobody can refuse. You know those ads you often see in Google searches? Those are Pay Per Click particularly Google Adwords PPC that are responsible for a ton of web traffic you see on all online channels. Hiring the top PPC Gurus in the game who you think will be able to make a cut for you is not a bad idea after all. Adding festive spirit in your PPC campaigns by using holiday inspired images, Ad text and keywords can boost up the business aptly. Targeting Holiday-Related PPC Keywords is a great way of increasing chances of potential clickers and buyers. Everyone is a big fan of discounts and coupons so place an appealing deal by placing coupon or promo code in your PPC Ads and voila! Your sales will spike up magically. Email is the most common feature that every mobile consist and email is how most marketers convey their deals with. 43% of marketing experts has agreed upon the fact that Pre-Christmas marketing plays an important role in generating additional sales during this nut cracking festival. Cart abandonment emails are a big opening for store owners to recover otherwise lost bunce. These Follow-up Emails gives you opportunity to engage with your customers which increases the chances of turning these customers into potential customers that leave your site without completing the purchase. As an entrepreneur you are destined to face some challenges along the road, and you always need to be prepared with a Plan B if you wish to succeed. If your Plan A fails you won’t be facing failure if you come up with a re-approach that can save you from the fall. Being adaptable is the best trade of a businessman. It’ll help any business person it sharpen their strategy and approach making them more evaluating. In conclusion, your website will be elevating, creating and generating sales for your business if you make your website an intrinsic part of the holiday sale active period. Get in touch with us if you want to add some of this festive glitter to your website. P.S. Your feedback is the most valuable for us so don’t shy away from sharing your thoughts.